Game Master Mode has players rolling virtual dice like an actual tabletop role-playing game. Even better? There's mod support. 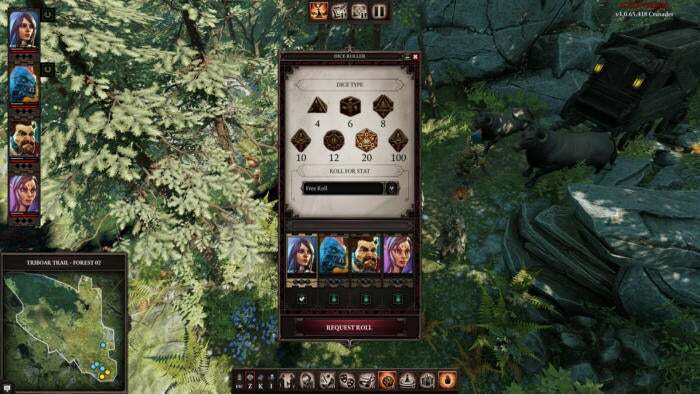 Attention D20 aficionados: Divinity: Original Sin II is slated to ship with a full pseudo-tabletop toolset, known as Game Master Mode, after hitting one of the final stretch goals for the game’s 2015 Kickstarter campaign. Yes, on top of the full-length Original Sin II campaign and the multiplayer Arena Mode we looked at last summer, Larian is building out a full campaign creation tool, a tabletop-style dice rolling system, a “Vignette” tool for adding Choose Your Own Adventure flavor, and so much more. It’s early days still, but I’m about ready to say this is everything Sword Coast Legends promised and then didn’t quite deliver on. For our demo, we actually played the introductory campaign for fifth edition Dungeons & Dragons, “The Lost Mines of Phandelver.” A word of warning: Divinity had permission from Wizards of the Coast to use this D&D module for our demo, but it's unknown whether the game will ship with official D&D content. The mode works the same in any case—all the Lost Mines module added was pre-made art assets, from the map to some D&D monster artwork to the general outline of the campaign itself. 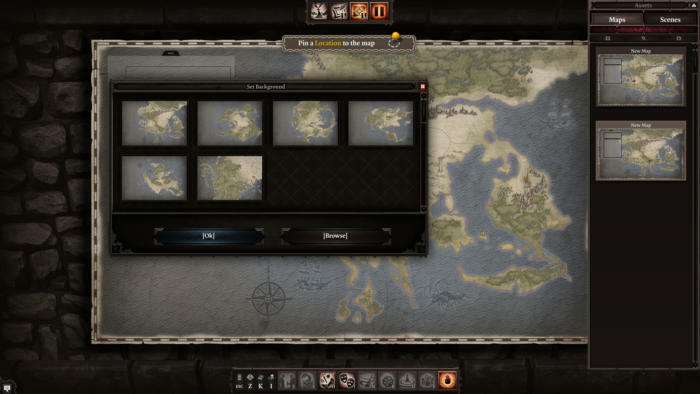 You can customize all those aspects though, whether adapting an existing campaign or creating one from scratch. How does it work, then? It starts with a map. Any map—or any image, for that matter. 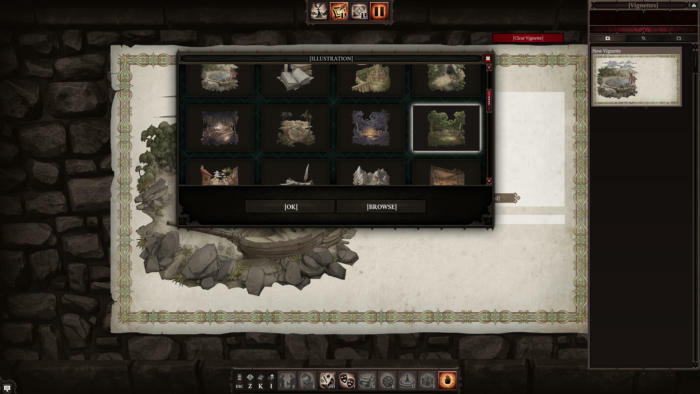 The game can import images from your hard drive and use them as “maps” (like a picture of Bon Jovi's face) though a few pre-made Divinity maps will be available when the game ships. 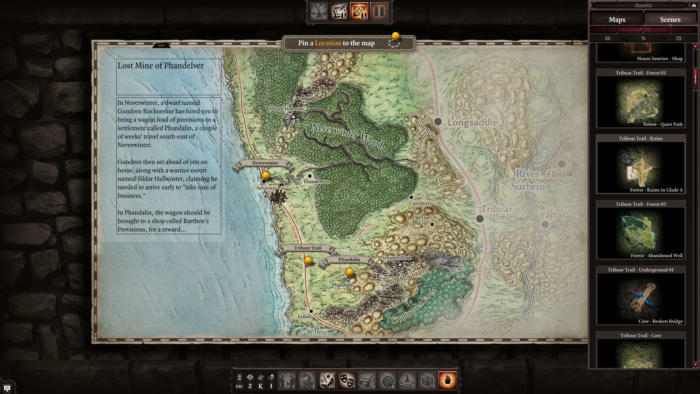 For us it was the familiar map of the Sword Coast, and more specifically the area around the town of Phandalin. From there, the Game Master/Dungeon Master starts adding locations. Need an inn? You find the inn level and add it to the map. Need a Lost Mine of Phandelver? That might be more extensive, with four or five generic “Mine” maps the DM can move players between. You can add props and monsters and custom characters to these maps, and the tools are pretty simple—basically just ultra-polished level design tools. Tuck a treasure chest in the corner, a few monsters in front of it, and boom, you have a scenario. 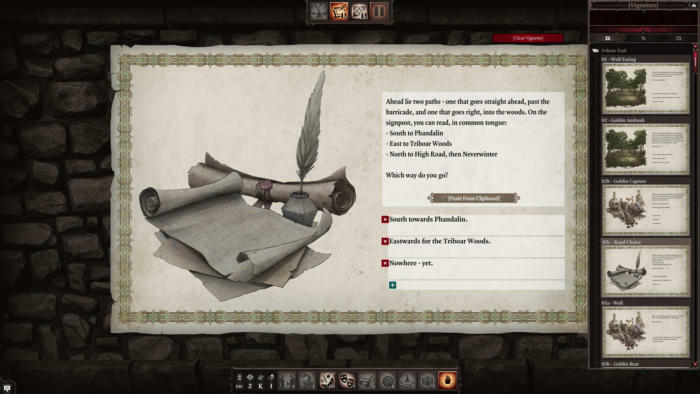 The problem with Sword Coast Legends was the short time between “This is amazing” and “Okay, I’ve already run up against the tool’s limitations.” Maps were the worst for this, with all of Sword Coast’s maps being small-to-medium sized and extremely generic looking. And at first I thought Divinity might run into this issue too. There are quite a few maps for GMs to choose from in Original Sin II—more than Sword Coast launched with, I think—but I could already see the potential limitations. 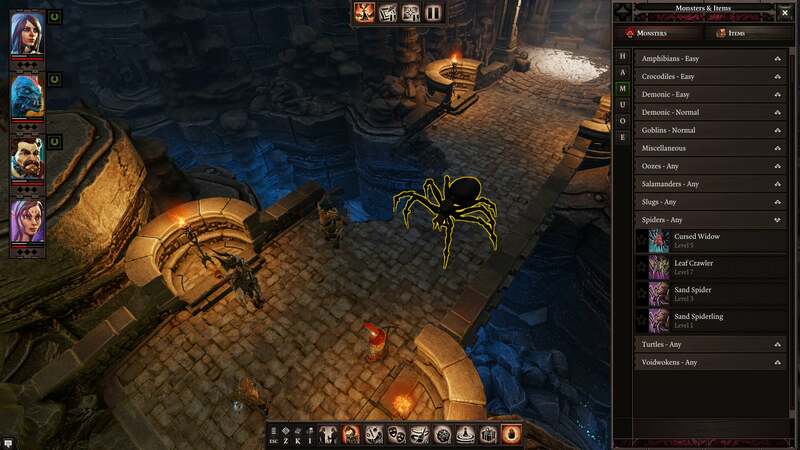 ...Except Divinity’s Game Master mode is launching with Steam Workshop mod support, a la Neverwinter Nights. You should be able to make your own levels, or even import characters and prop models into your scenarios, or (if you’re less inclined to put in that amount of work) download other people’s assets from the Workshop and use them in your campaigns. That alone makes me more excited for Original Sin II. Anyway, all of this happens before the players arrive. You build out a framework. Then you start actually playing the campaign, at which point things work quite a bit more like a tabletop game instead of a fancy level designer. We had four characters in our party, and on the surface the game looks quite a bit like “Four people playing Divinity together.” Because it is. 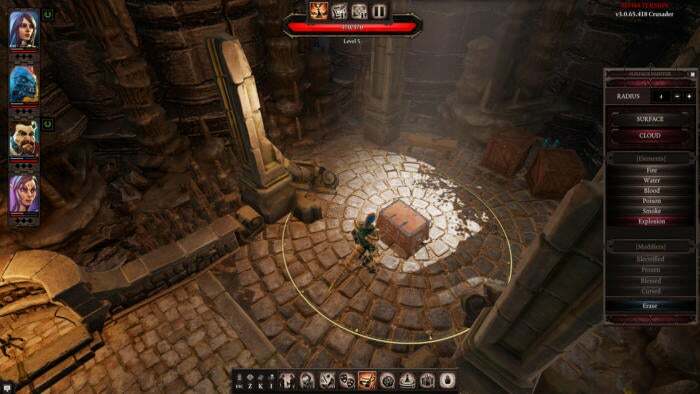 But Larian’s aimed to make Original Sin II’s Game Master Mode function a lot more like actual tabletop with a visual component, not just an on-the-fly multiplayer session. Vignettes are part of that. They’re bits of text that pop up mid-game (at the GM’s prompting) that add some flavor to the environment and then prompt players to choose what happens next. For instance, we came upon a wolf in the road, with options to leave it alone or attack it. Players can diverge from the GM’s path though. Our party wanted to feed the wolf some of the ham we had in our wagon, and the GM was able to edit the Vignette on the fly and add that option. Players then vote on what action to take and the GM resolves the situation. 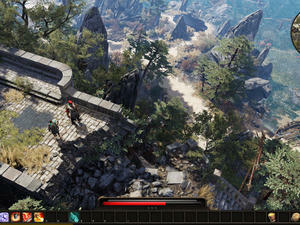 This interplay between the in-game representation and the more tabletop-esque act of players sitting around and debating what to do next is really what made my Divinity demo special. It’s less like playing a computer game and more like an incredibly elaborate bunch of miniatures. The visual representation is there to guide players, to give them additional information, not act as rule of law like in Sword Coast Legends. It extends to combat too. Combat technically abides by the Divinity rules, with Divinity classes and powers and movement (at least until someone mods in fifth edition D&D). The GM can break those rules though. Here’s an example: In our campaign I wanted to attack a goblin by throwing a beehive I’d found at them. Divinity has no rule for this, no bespoke means for throwing bees on an enemy. Like any tabletop game, the GM can fake it though. Our GM had the in-game dice roll tool pop up, I clicked to roll a D20, and I got a 16. That was enough for a success, so the GM then 1) Rolled dice for damage 2) Subtracted that damage from the affected goblin’s health bar and 3) Removed the beehive from my inventory. It’s quite a bit of work for the GM to keep this all moving. There are dozens of plates spinning here, and anything that can be done in preparation for a campaign can also be done on-the-fly. Add a new character? Sure. Create new Vignettes and new Vignette options? Easy. Kill enemies and paint blood on the ground to represent a particularly gruesome murder? Sure. Create new items? Our GM made me wolf-skin armor, with custom stats and bonuses. With that much power, it’s easy to look at the tools and get overwhelmed. Even our GM, who’d already given the demo multiple times to other groups, seemed a bit lost at times in the chaos, as four people ran roughshod over the Lost Mines at once, opening trapped chests and launching fireballs at enemies and just generally causing a mess. You need that sort of power, though—at least, if your aim is to recreate the feel of tabletop gaming. The appeal of D&D and its various competitors is the ability to do basically anything, to approach a situation and see all the different, often absurd solutions. Video games? They may code for five. A great one might code for ten. In tabletop games, the possibilities are only as limited as your imagination, and that’s a special thing. Larian’s got that here. Sometimes it’s janky, sometimes it’s utter chaos, but Game Master Mode is the first time I’ve been able to, unscripted, decide the best way of interrogating a goblin was to dangle it off a ledge, slice its ear off, and then drop it onto the rocks below while saying “See you at the party, Richter” after it gave up the location of the secret hideout. Sure, most of that discussion happened outside the game, while our miniatures just stood motionless on a rocky outcropping—but that’s tabletop gaming, right there. 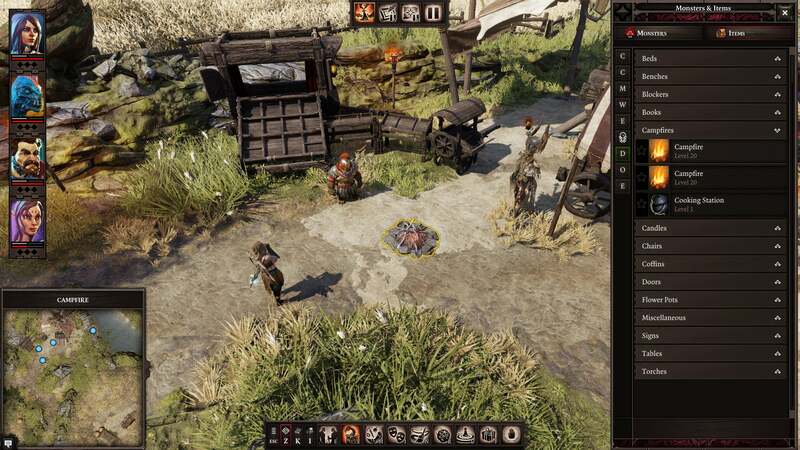 Divinity: Original Sin II’s tools are surprisingly deep, and with mod support there’s the potential for particularly dedicated GMs to dig even deeper. I’m hoping we get official D&D licensing, if only because The Lost Mines is an example of a particularly polished campaign for people to get the hang of GM mode, learn the ropes, and start modding. But if not, I still expect we’ll see some incredible campaigns hit the Workshop not long after launch. One last note: GM mode will not be added to Original Sin II during Early Access, but will only be available when the full game launches. That’s still set for later this year, though there’s always the possibility of the game slipping into 2018 I guess. We’ll keep you updated.